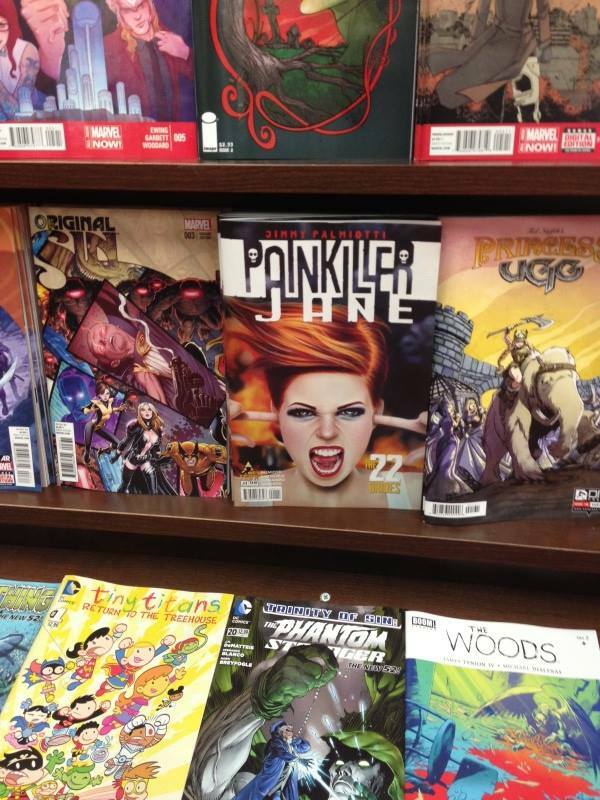 Sas Christian | Painkiller Jane OUT NOW!!! It’s wonderful to see my art on the cover of such a brilliant comic book. Available at all awesome comic stores, such as TATE’S Comics! International painter incorporating modern tongue-in-cheek humor and her own experiences. Creating contemporary, ballsy, flirty, weepy girls; punk, catholic, no-nonsense, damaged but not broken girls. Funny, intelligent, unusual, independent, odd ball, outsiders. The Artwork on this Site is protected by copyright and/or other intellectual property laws and any unauthorized use of the Materials and Artwork at this Site may violate such laws. No portion of the information or documents on this Site may be reproduced in any form or by any means without the prior written permission of Sas or Colin Christian.